See scan - very good condition. This is a nice and rare Bulgarian Royal WWII King Boris III Silver Merit order. This particular piece is a rare MINTING ERROR. The minting company had struck the inside of the order much larger as it originally should have been and later during the process it was hammered into the wreath so that 4 points were squashed inwards. Very unusual and rare collector strike! 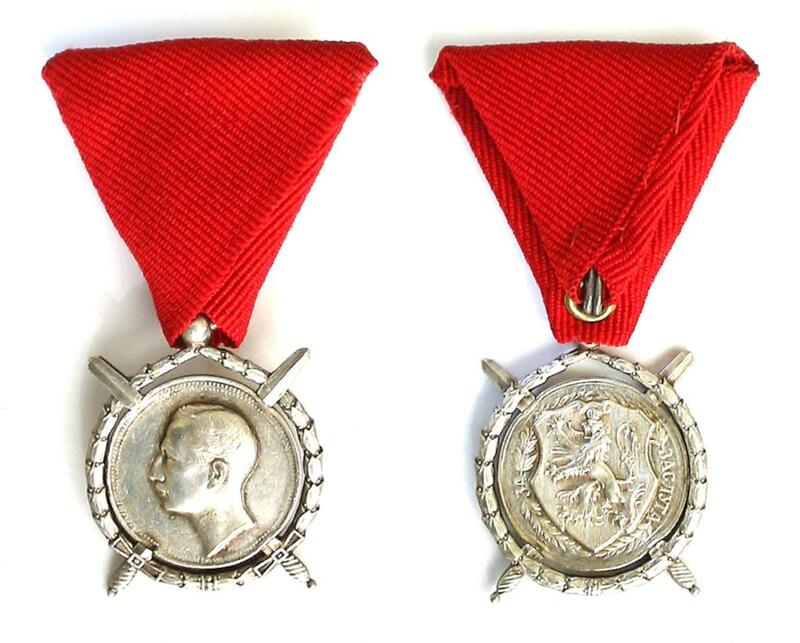 This is the Type of the Merit order of King Boris with the reverse crest without rounded corners. During those years Bulgaria was a NAZI German ally and some German officials had also received this award decoration. Nice militaria / military collector piece and one of the rare Bulgarian orders.